Dr Sandro Porceddu is an internationally recognised radiation oncologist and a leading authority in head and neck and skin cancer. With over 20 years experience in medicine his areas of clinical expertise include head and neck cancer, skin cancer, sarcoma and lymphoma. He is currently a senior radiation oncologist and Director of radiation oncology research at the Princess Alexandra Hospital, Brisbane, Professor of Medicine, University of Queensland and Associate Editor for the International Head and Neck journal, Oral Oncology. Dr Porceddu is a nationally and internationally recognised cancer advocate through his involvement in high-level committees, engagement with key policymakers, community education and media roles. Professor Porceddu completed his medical degree at Monash University before undertaking his residency at Monash Medical Centre, Melbourne. He commenced his specialist training in radiation oncology at the Peter MacCallum Cancer Centre in 1996 and was made Fellow of the Royal Australian and New Zealand College of Radiologists, Faculty of Radiation Oncology in 2000. After working as a consultant radiation oncologist at PeterMac for several years he moved to the Princess Alexandra Hospital in 2004. 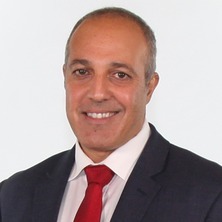 Professor Porceddu has been the President of the Clinical Oncology Society of Australia (COSA), the peak organisation for cancer-related health professionals, and the Trans Tasman Radiation Oncology Group (TROG), one of the largest cancer collaborative trials group in Australia/New Zealand. He has served on numerous national and international professional and academic committees including the board of the Cancer Council of Australia, the National Cancer Expert Reference Group for the Commonwealth and the International Union for the Control of Cancer (UICC) TNM Expert Advisory Panel. Currently, he is the Chair of the Cancer Council Queensland Co-operative Oncology Group, a committee that provides over $1.2M per annum to support clinical research throughout Queensland and is on the board of the of the Head and Neck Cancer InterGroup (HNCIG), a group of leading world cancer experts dedicated to promoting the global harmonisation of head and neck cancer research and treatment. Professor Porceddu runs an active clinical research program with over 150 peer-review articles, book chapters, published abstracts, invited reviews and commentaries. He has received invitations to speak at major international conferences such as the American Society of Clinical Oncology (ASCO) meeting and publish in prestigious journals such as the Lancet Oncology and Journal of Clinical Oncology. Dr Porceddu has had a life-long commitment to teaching and is a supervisor and mentor to Doctor of Philosophy and Master of Philosophy candidates, Clinical Research Fellows, MBBS Honours students, resident, registrars and other allied health professionals. Dr Porceddu’s has been investigating methods to reduce the morbidity of treatment, improve cure rates and quality of life for cancer patients. He runs an active head and neck/skin cancer research program and is the principal investigator of numerous trials including an NHMRC-supported Randomised Phase III trial on head and neck skin cancer (POST TROG 05.01). In line with his research goals he has been examining the integration of radiation therapy and new technologies in the management of head and neck cancer and has received his Doctorate of Medicine (MD) on this topic with UQ. His current research on Positron Emission Tomography in the management of the neck following chemo-radiotherapy has been internationally recognised and incorporated into the USA National Comprehensive Cancer Network (NCCN) guidelines. He has been the recipient of over $3.91M in competitive funding, including one recently closed and two open NHMRC grants. Porceddu, Sandro V., Waldron, John and Hicks, Rodney J. (2011). Functional imaging of head and neck cancer with positron emission. In Multidisciplinary management of head and neck cancer (pp. 197-214) New York, United States: Demos Medical. A TNM classification for HPV+ oropharyngeal cancer. Application of the International Classification of Functioning, Disability and Health (ICF) to people with dysphagia following non-surgical head and neck cancer management. Outcomes after primary chemoradiotherapy for N3 (>6 cm) head and neck squamous cell carcinoma after an FDG-PET--guided neck management policy. Does fluorodeoxyglucose PET add to the management of the neck following curative radiotherapy in head and neck cancer compared with computed tomography? Adams, Gerard and Porceddu, Sandro V. (2012) Radiotherapy - maintaining focus throughout the cancer journey. Cancer Forum, 36 2: 1-3. Is induction chemotherapy the new standard in organ preservation treatment for locally advanced head and neck cancer in 2010? Hypofractionated radiotherapy for the palliation of advanced head and neck cancer in patients unsuitable for curative treatment - "hypo trial"
Parotid-sparing radiotherapy: does it really reduce xerostomia? Bellomo, R, Farmer, M, Bhonagiri, S, Porceddu, S, Ariens, M, M'Pisi, D and Rongo, C (1999) Changing acute renal failure treatment from intermittent hemodialysis to continuous hemofiltration: impact on azotemic control. International Journal of Artificial Organs, 22 3: 145-150. Emmett, Sarah, Boros, Sam, Whiteman, David C., Porceddu, Sandro, Panizza, Benedict and Antonsson, Annika (2017). Sexual Behavior, HPV Status and P16 Expression in Oropharyngeal and Oral Cavity Squamous Cell Carcinoma Patients. In: COSA's 44th Annual Scientific Meeting, Immunotherapy: Molecules and Mountains, Sydney, NSW Australia, (92-92). 13–15 November 2017. Foote, M. C., Harvey, J., Porceddu, S., Dickie, G., Hewitt, S., Colquist, S., Zarate, D. and Poulsen, M. (2009). The Effect of Radiotherapy Dose and Volume on Relapse in Merkel Cell Cancer of the Skin. In: 51st Annual Meeting of the American-Society-for-Radiation-Oncology, Chicago Il, (S525-S526). Nov 01-05, 2009. Lane, S. W., Mollee, P. N., Bird, R., Porceddu, S. and Gill, D. (2005). Aggressive cutaneous squamous cell carcinoma (SCC) in chronic lymphocytic leukaemia (CLL). In: 47th Annual Meeting of the American Society of Hematology, Atlanta, GA, United States, (329B-329B). 10-13 December 2005. Corry, J., D'costa, I., Milner, A., Fawns, H., Porceddu, S., Rischin, D. and Peters, L. (2005). The "quad shot" - palliative radiotherapy in locally advanced head and neck squamous cell carcinoma. In: Abstract Book. 9th Nottingham International Breast Cancer Conference, Nottingham, United Kingdom, (303-303). 13-16 September 2005. Porceddu, SV, Corry, JF, Peters, LJ, Rischin, D and Hicks, RJ (2004). The utility of PET for the detection of disease in residual neck nodes following (chemo)radiotherapy in head and neck cancer. In: Radiotherapy and Oncology. 23rd Annual Meeting of the European-Society-for-Therapeutic-Radiology-and-Oncology (ESTRO 23), Amsterdam Netherlands, (S296-S296). Oct 24-28, 2004. Superiority of tirapazamine-containing chemoradiation in head and neck cancers showing evidence of hypoxia on F-18-misonidazole (FMISO) pet scanning. Hicks, R, Rischin, D, Fisher, R, Binns, D, Corry, J, Porceddu, S, Grossi, M, Okane, C and Peters, L (2004). Superiority of tirapazamine-containing chemoradiation in head and neck cancers showing evidence of hypoxia on F-18-misonidazole (FMISO) pet scanning.. In: Journal of Clinical Oncology. 40th Annual Meeting of the American-Society-of-Clinical-Oncology, New Orleans La, (493S-493S). Jun 05-08, 2004.